There are times when you find a hidden gem or word-of-mouth spot that you love so much, you don’t want to share it with the world. However, you want to see this place thrive and succeed, so you know you must tell others, and promote the place that is close to your heart. 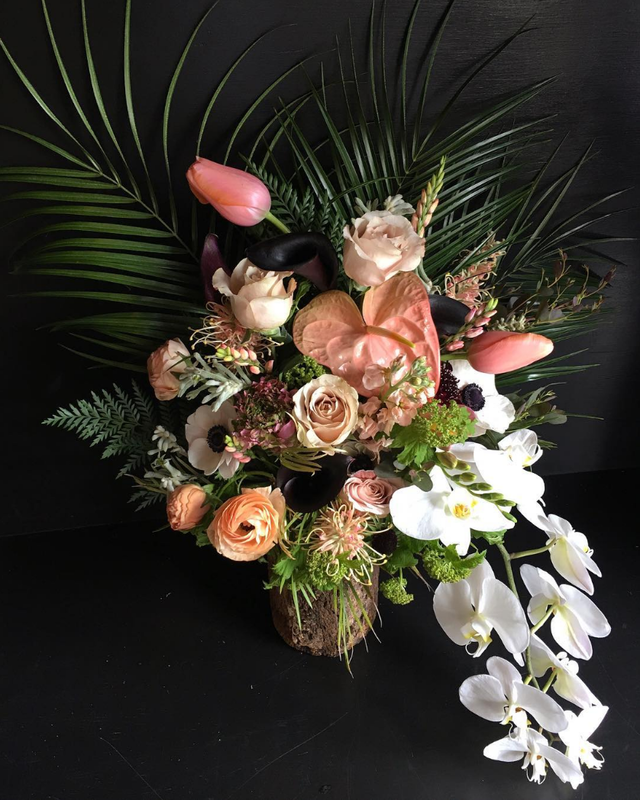 Such are our feelings about Colibri, a curated flower shop that quietly opened last month with little fanfare or publicity. This word-of-mouth strategy has worked beautifully for the owners in the past. Colibri is a joint venture of dream-team couple Naomi Pomeroy (award-winning chef at Beast) and her husband Kyle Webster (brains behind Expatriate/vintage record DJ guru), who are known for their intimate spaces, where you lose yourself in the atmosphere and in the delightful interactions with other patrons. A lifelong dream of Naomi’s, this unassuming shop aims to be more than a floral studio. Reminiscent of salons of the Enlightenment era through the 1940s, you could easily imagine yourself in 27 rue de Fleurus—Gertrude Stein’s Paris apartment—a gathering place for avant garde artists and literary geniuses of the era. A place for intellectual conversation, ease of comfort and a bit of the dramatic. The mood is set through a selective culling of textures and lighting in the space. Vintage Turkish rugs, Japanese paper lamps, old Italian vases, red velvet and black lacquer chairs, a handmade round table crafted by a friend, and, of course, local and tropical flora housed in a restored antique floral refrigerator sourced by culinary friend and vintage enthusiast, Peter Bro. If you are not looking for Colibri, you may miss it. With nothing more than tasteful Deco lettering declaring the business name on the front door (Italian for hummingbird) and a glass garage door framing the view into a jungle of plants, the street presence is unassuming. 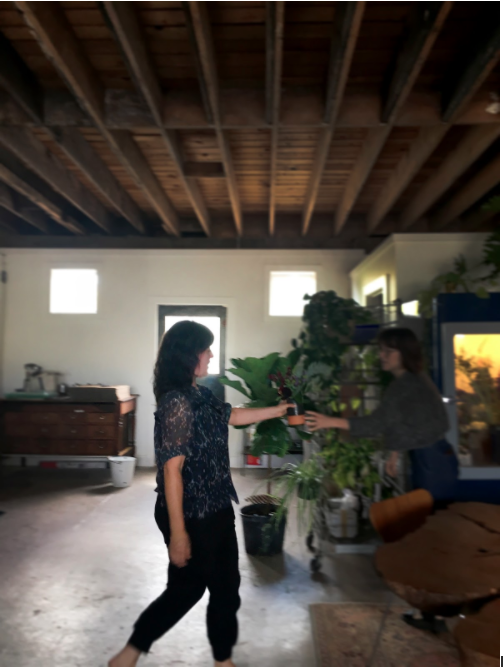 Walking into the space, we were greeted by Naomi and her design collaborator Morgan Rosskopf, and invited to sit in a casual, living room-esque arrangement of furniture, complete with writing desk. Discussing their mission behind the business was insightful. They want to be a more thoughtful floral studio, one focusing on form but also approachability. Their ideal customer is someone who loves good design and wants to see that carried through in every aspect of their home or business, even into a carefully arranged grouping of flowers or a thoughtfully selected plant keeping with the aesthetics of the space into which it will be placed. Having used their services with some of our clients, we have received high praise for their presentation and quality. We look forward to working with them time and time again.